Welcome to the Silver Heron Gallery's coastal retreat where we invite you to experience the Fine Art of relaxation. 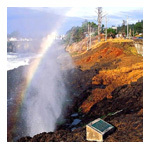 A uniquely charming seaport town, Depoe Bay is recognized as the smallest navigable harbor and the whale watching capitol of the world. Enjoy our town's rich history, fabulous shopping, and distinctive dining all located within walking distance of each other. We of the Silver Heron, Blue Heron, and Purple Starfish galleries feel the relationships we have established with our artists and clientele is what makes us three of the most distinctive and successful art galleries in the nation. Owners Talley and John Woodmark delight in entertaining their guests by extending some coastal hospitality, offering them this one-of-a-kind opportunity to indulge in life on the Oregon coast. 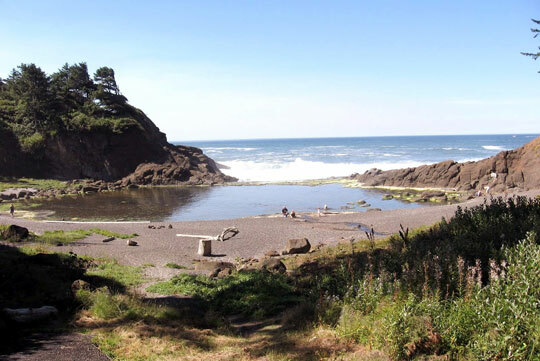 Our gallery's artist townhouse retreat is situated in the 140-acre, private, oceanfront gated community of Little Whale Cove, one mile south of historic Depoe Bay. This artistically appointed getaway was gallery owner and interior designer Talley Woodmark and her son Clay Woodmark's creation. "I wanted to give my guests a restful space that was comfortable and chic, while featuring an array of artwork from our galleries. By combining a mixture of textures and patterns with original paintings, sculpture, and art glass, we created a uniquely peaceful setting," says Talley. With its paved walking trails, elevated wooden boardwalk and whale-watching lookout, Little Whale Cove is a serene environment where art harmonizes with nature. The townhouse is offered as a complimentary accommodation for artists during exhibitions of their work, clientele, and/or those taking part in the gallery's artist retreat program. Our program is designed to provide an artistically stimulating setting where an artist may work free from the distractions and responsibilities of day-to-day life. It is our goal that the artist return home having been creatively productive in his or her work, with inspiration for future works, and that the overall experience will be cherished for a lifetime. Donations of artwork will be sold to fund the expansion of the retreat program. 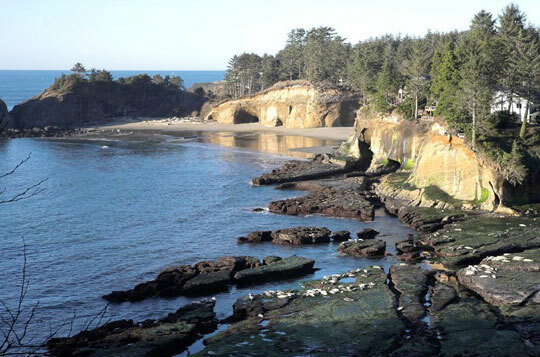 No meals are provided, but restaurants and grocery stores are conveniently located in Depoe Bay, and/or in nearby Lincoln Beach, Newport and Lincoln City. The retreat encourages emerging, as well as established artists to apply. Artists are welcome to apply individually. It is anticipated that the majority of the applicant's principle areas of interest will be painting, drawing, sculpting and photography. Contact Talley@SilverHeronGallery.com for more information regarding this Pacific retreat.